Shoshannat Yaakov honors Yaakov Elman, Professor of Talmud at Yeshiva University, and celebrates Elman’s contributions to a broad range of disciplines within Jewish and Iranian studies. The fruits of Elman’s seminal project of bringing together of scholars of Iranian studies and Talmud in ways that have transformed both disciplines, are well represented in this volume, together with scholarship that ranges from Second Temple Judaism to Late Antique Judaism, Zoroastrianism, Samaritanism and Christianity. HAYIM LAPIN: Welcome to the Digital Mishnah. This site accompanies and hosts the development of a born-digital critical edition of the Mishnah. When fully implemented, the project provide a dynamic edition of the Mishnah that takes advantage of its medium to provide multiple and customizable presentations of the text, as well as analytical tools that will allow the user to study variability between witnesses as well as other features. Via the Talmud Blog on Facebook. Plus many interesting book reviews. H-JUDAIC: postdoctoral fellowship at Yale University. The Program in Judaic Studies at Yale University is offering a two-year Jacob & Hilda Blaustein postdoctoral fellowship that will begin on July 1, 2013. Candidates for the fellowship must have a Ph.D. in hand by July 1, 2013 and must have received the degree no earlier than 2010. The Program seeks a specialist in Ancient Judaism/Jewish History who will work closely with appropriate members of Yale's faculty. The application deadline is 11 February 2013. Follow the link for more information. Robert Eisen. The Peace and Violence of Judaism: From the Bible to Modern Zionism. Oxford: Oxford University Press, 2011. 280 pp. $29.95 (cloth), ISBN 978-0-19-975147-1. Robert Eisen’s study The Peace and Violence of Judaism is a major contribution, bringing carefully selected texts and analysis to two key questions that confront scholars of Judaism as well as those seeking ethical and religious guidance today: What does Judaism say about peace and violence? And how have “Jews as a people envisioned their relationship with other peoples”? (p.11). Eisen, a professor of religion and Judaic studies at George Washington University, steps beyond his specialty as a medievalist to cover critical and controversial Jewish texts, ethical questions, and historical events from many centuries, including a wide range of recent secondary sources. This is a daring move, one which generally succeeds admirably. Aryeh Cohen. Justice in the City: An Argument from the Sources of Rabbinic Judaism. Brighton: Academic Studies Press, 2011. 160 pp. $59.00 (cloth), ISBN 978-1-936235-64-3. It is always refreshing to read a book that renders the ancient Judaic textual tradition relevant to the complexities of modern living. Aryeh Cohen’s Justice in the City delves into the Babylonian Talmud and finds there ample ethical, philosophical, and legal sources that paint “a compelling picture of what a just city should be” (p. 9). A just city is not just any city in which residents go about their daily routines with mind-numbing hedonism. Rather, it is to be a “community of obligation” in which those “who are not always in view”--such as the homeless, poor, and working class--are nonetheless attended to and cared for (p. 9). Lest one worry that Cohen’s is an argument for each individual citizen to take on the burdens of caring for all the marginalized in a city and do nothing else, he stresses that it is the city’s responsibility as well to notice and attend to them. In this way a just city is precisely that: a city as a whole that is just (not just the individuals therein). I'M OFF TO LONDON for the annual meeting of the British New Testament Society, this year at Kings College London. I am not presenting a paper this time, but Dr. Darrell Hannah and I are co-chairing the NT & Second Temple Judaism Seminar. Over the next few days I will blog as much as time and Internet availability permit. But just in case, I have pre-posted something for each day I'm away, including later today. So do keep visiting as usual. ARCHANGEL METATRON WATCH: New crop circle inspires shock and awe: Who or what is making them and why is the media ignoring this incredible phenomena? More on the Metatron's cube here. MARK GOODACRE: Private Eye on the Telegraph's plagiarized obituary of Marvin Meyer. Meanwhile, over at The Telegraph, crickets chirping. Once again, the mainstream media shove their head into ... the sand, while their ungainly torso bleeds out from the death of a thousand cuts. The answer to the question is "Yes." By the way, a lot of people think the Arslan Tash plaque is a forgery. This should have been mentioned. I have numerous previous posts on Lilith: here, here, here, here, here, here, here, here, here, here, and here (excluding those with terminal link rot). This essay deals in part with the question of the place of women in early Christianity raised in the previous post: Gnosticism in the media. GNOSTICISM has been getting some attention recently in odd corners of the new media. The traditional conservative attitude toward Mary’s prominence in these writings is to assert that these Gnostics just made that up. But why would they? Women had no religious (or any other) authority in that misogynistic civilization. Unless she had been important from the very beginning of the movement, no one would ever have later claimed any authority for her. Obviously, the implications of all this are still being worked out. I’ll have more to say later. But remember, the history of modern religious scholarship is still the history happening right now of beating the conservatives on their heads with facts, and of their fighting back against having to retreat, step by step. That's a bit simplistic, but whatever. Specialists agree that the Gospel of Mary consists of legends about Mary made up long after the fact. The place of women in first-century Christianity is a separate issue, on which we have relatively little evidence and about which there is much discussion. But second- to fourth-century apocryphal traditions are of very limited usefulness as sources for the first century. I have commented some years ago on the question "Was Jesus married to Mary Magdalene?" The series is interesting for its 60s countercultural appropriation of the Gnostic texts. David Solway: The Ideology of the Left: Gnostics of Our Time (PJ Media). To conclude. The psychology of the Left, despite certain asymmetries, is intrinsically a Gnostic one. The analogy is premonitory. For just as Gnosticism proved unsustainable as a resilient and effective theology, since it could not address the needs of the human spirit bound in time to an ineluctable world, so the theory of utopian socialism that animates the orphic community, in any of its manifold incarnations, can only distort the quest for human betterment. It can only reproduce — or worsen — the original flaw it seeks to transcend. I'm not quite as sure as Mr. Solway is that Gnosticism as a theology is out of the running (see, e.g., above), but be that as it may. This one got some attention from the mainstream media as well: Out of Mani, One: The philosophical roots of the Obama cult (James Taranto, WSJ). It occurs to me that it is just possible that some of my academic readers may disagree with the politics of Solway's and Taranto's essays and, moreover, that some of those who disagree may be tempted to write and tell me so. Please restrain yourselves. My interest is sociological and I already get to hear more than enough political opinions from my Facebook friends. IT'S BEEN A COUPLE OF YEARS and my search-engine-referral collection has grown back to a respectable size, so it's time to share it again. The text in parentheses is my own editorial commentary. I have deleted a few interesting search terms in order to uphold PaleoJudaica family values, but if you buy me a beer at a conference sometime I might tell you about them. Also, the list below could give you the impression that certain subjects are treated in this blog far more frequently and in far more detail than is actually the case. All of the following are actual search terms that led people, often unaccountably, to PaleoJudaica. Does God has any involement of the writtwn Qumran? criticism of "people to people exchange program"
was the naga hammadi ever discovered? MORE DETAILS about that late antique town excavated in southern Israel are give in an Haaretz article: Byzantine-era ritual baths discovered on Israel's Route 6 (Yanir Yagna). Two mikvehs and two public structures, dating back to 6th century CE, were found in the southern segment of the road. 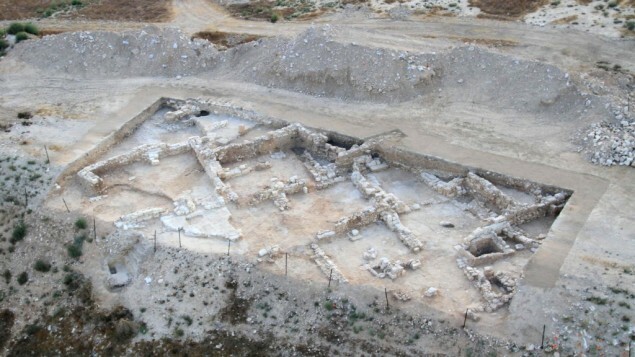 Archaeologists believe the ruins point to the existence of an ancient Jewish town in the Negev. 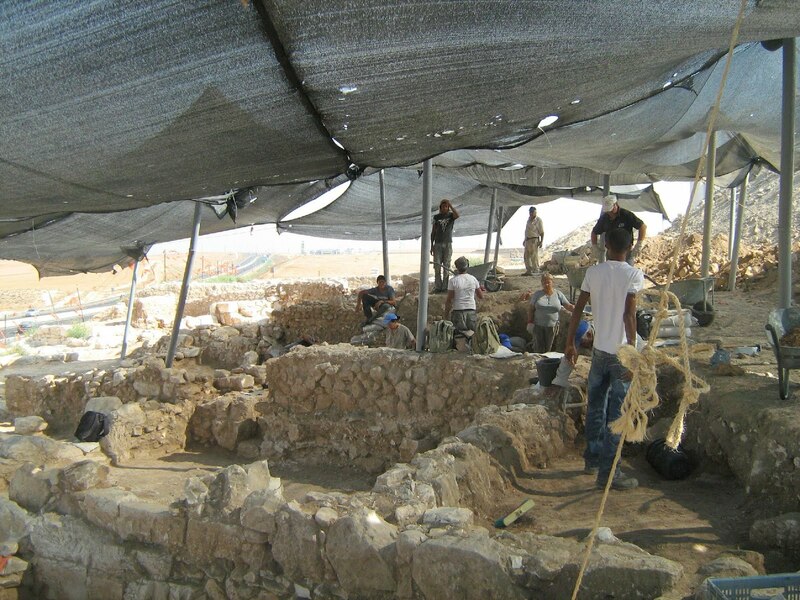 “At the request of the Trans-Israel Highway, we performed digs along the southbound portion of the road,” said Nir Shimshon-Paran, head of archaeological digs at the antiquities authority. “We carried out excavations – meant to document any relics in the area before development or road pavement work was started – and discovered two mikvehs, and two public structures, which, according to certain parameters, fit the criteria for synagogues,” said Paran. Paran said the discoveries were undoubtedly part of a Jewish town. “Here we see a Jewish town from a time when the Negev had a sparse Jewish population. The structures discovered were built with chiseled hewn stones, and both of them contain remains of a stage adjacent to a wall, facing Jerusalem. Their characteristics and positioning indicate that these structures served as synagogues, or houses of study. The town uncovered here is roughly eight kilometers from the synagogue that was destroyed along with Rimon during the Byzantine period,” Paran added. The Department of Living Languages in Mardin Artuklu University is set to launch two courses to teach Hebrew and Syriac. Assistant Prof. Mehmet Sait Toprak said their aim was to train researchers who could conduct scientific studies in their own languages. The Department of the Institute of Living Languages in Mardin Artuklu University is set to launch two new courses to teach Hebrew and Syriac. A Hebrew Language and Culture Department is also in the works. The courses will last for three months, and they will be offered both on the weekends and weekdays. Aspiring students are required to apply until Sept. 7 to attend the classes, each of which has a maximum capacity of 40 pupils. The university will provide passing students with a certificate, and higher level courses will also be available on the second semester as well. "We limited the number of applicants because we lack enough instructors. We are only three people. Our aim is first to teach both languages at the highest level and then to train researchers who could conduct scientific studies on Hebrew and Syriac languages and cultures in their own tongues," Assistant Prof. Mehmet Sait Toprak said. "[We might] also establish Syriac and Jewish Research Centers to form more scientific institutions in the future. We are also going to appeal to the YÖK (Higher Board of Education) within a month or two to open a Hebrew Language and Culture Deparment," he added. The Syriac course has been running for some time, but the Hebrew is new. Background here and links. THE TALMUD IS BEING TRANSLATED INTO DUTCH: New Dutch translation of Talmud a tribute to Friesland’s nearly vanished Jews (Cnaan Liphshiz, JTA). Five years ago, De Leeuwe began focusing on another aspect of his roots, the Talmud, which he started to painstakingly translate into Dutch. This summer he reached the first milestone in his work, completing the translation of the first tractate, Brachot, in nine annotated volumes. De Leeuwe says that though the Jewish population here is minuscule, Friesland is a fitting place for such work. Writing here, he says, is a form of “tikkun," repair: He would produce the world’s first annotated Dutch translation of the Talmud in the place that the Nazis had tried to destroy his family and his people. In the introduction to his recently completed translation, de Leeuwe mentions the “enemies” of the Jewish people but refuses to use the word Nazis. “I wasn’t going to give the Nazis the honor of being mentioned in Talmudic text,” he tells JTA. The first two volumes of his translation took the most work, says De Leeuwe, a doctor and former cantor who used to teach Talmud classes while living elsewhere in the Netherlands. “I’m able to work much faster now,” he says. He hopes to finish two additional tractates by Passover. Judaica collectors, libraries and others have bought about 300 copies of each volume, according to de Leeuwe. ASOR BLOG: Qumran and the Dead Sea Scrolls Month. We are pleased to announce that September will be Qumran and the Dead Sea Scrolls month here on the ASOR blog. 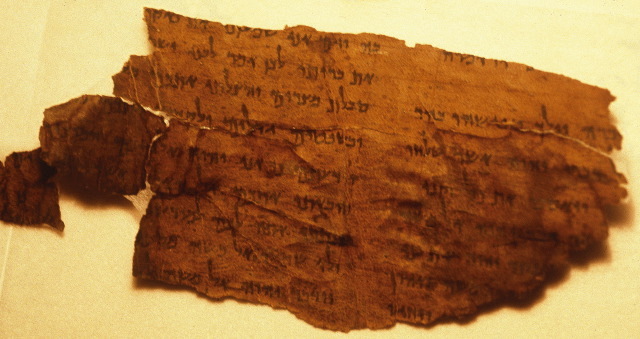 Starting Tuesday, September 4th, we will be posting contributions from leading scholars on Qumran and the scrolls. Check back often to see the latest updates! Good deal. But at PaleoJudaica every month is Qumran and the Dead Sea Scrolls Month! HAPPY NINTH BLOGIVERSARY, both slightly belated, to David Meadows's Rogue Classicism and Mark Goodacre's NT Blog! The remains of two Jewish ritual baths and two public buildings were uncovered in a salvage dig ahead of the paving of a new section of Israel’s Highway 6, a north-south toll road eventually slated to run much of the length of the country. The highway will be rerouted to preserve the ruins, the IAA statement said. The IAA press release in Hebrew is here and includes the photo in the article above and another one. Via Joseph Lauer, who has also circulated high resolution copies of both IAA photos. These were sent by Yoli Shwartz, the IAA's Spokesperson, and I post them below. Click on the images for larger versions. JIM WEST: It’s The August Biblioblog Carnival! The ‘Look, There’s a List of Biblioblog Twitterers’ Edition. NEW BOOK: David A. DeSilva, The Jewish Teachers of Jesus, James, and Jude: What Earliest Christianity Learned from the Apocrypha and Pseudepigrapha (OUP).